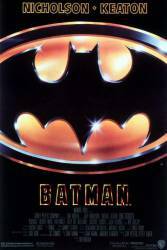 Visible crew/equipment: When Batman comes through the skylights in the museum just after Vicki throws water on Joker's face, you can see the stunt cable that lowers Batman down. 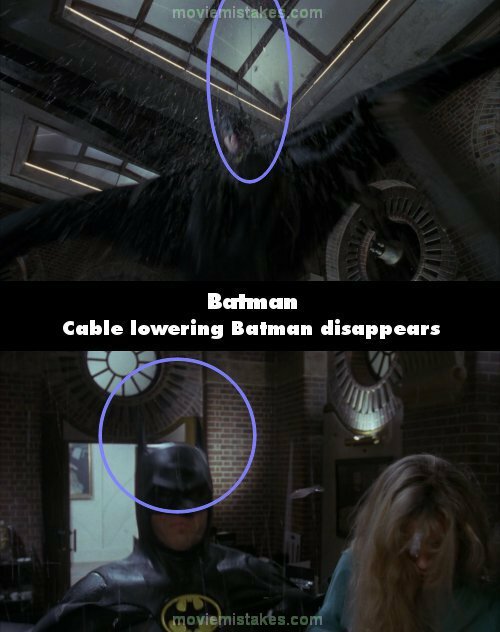 Batman does use a system of cables and grappling hooks because he has no superpowers, but the cable lowering him down disappears as soon as he hits the ground. It was used to lower the actor down safely, not the character.